Radio2Space developed parabolic antennas, ranging from 2.3 to 5 meter diameters, built with lightweight aluminum Matched with a specially designed feed for a frequency of 1420 MHz, these antennas are perfect for capturing radio waves at the hydrogen line, but can be used with frequencies up to 5 GHz. For special applications, we offer different antennas and feedhorns for frequencies up to 15 GHz. In order to use the radio telescope in the most challenging of environmental conditions, (for example in case of high winds), Radio2Space has developed weatherproof alt-azimuth computerized mounts, making it possible to install the radio telescope in the field, without any particular weather protection. Weatherproof mounts are available in different dimensions based on the diameter and weight of the antenna used. Capturing weak signals from space, both for radio astronomy and satellite communications, requires very high gain and signal stability, keeping the system noise to a minimum. In order to accomplish this task, Radio2Space designed special radiometer and spectrometer receivers for 1420 MHz frequency and radio astronomy applications. For satellite communication, we can design a specific receiver version based on the frequency you need to record. Every Radio2Space radio telescope is designed to be remotely controlled from the control room where the receiver and the control software are installed. Radio2Space developed special remote control electronics in order to keep the power units remotely in the control room so the radio telescope doesn’t need a power connection at its installation site. A special networking module is available to remotely control the radio telescope, from a local network or via the Internet. We designed our radio telescope to be ready for interferometry. In fact, SPIDER mounts have the high precision pointing and tracking features needed for interferometry, insuring all the radio telescopes are pointing at the exact same area of the sky. The receivers have all the needed hardware that is required to connect to an interferometry module – Radio2Space is currently developing an interferometry module for its radio telescopes. When using radio telescopes, it is important to avoid recording RFI (radio frequency interferences). Since it is not always possible to install the radio telescope in an isolated location, we developed a special technology based on BBC filters, included in the radio telescopes control software, that allows the user to easily visualize possible interferences and remove the unwanted part of the spectrum from the recording. In order to control the radio telescope, record and process capture data, Radio2Space has developed the RadioUniversePRO software. This comprehensive software suite allows the user to easily use the radio telescope free from unwanted complications. 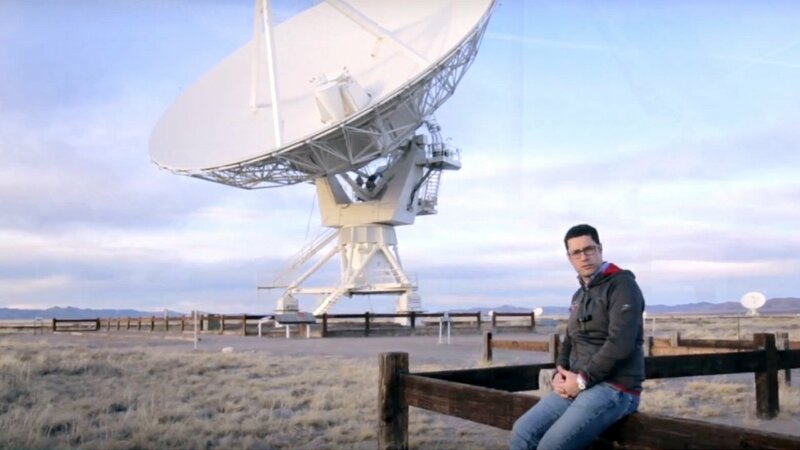 The software also allows the user to create scripts to automate the radio telescope capture and to save raw data in FITS format for post processing. Be the First to Know latest news, products realeses and scientific discovering on pioneering Radio Astronomy.